Via Della Pisana 374, 00163 Rome, Italy. 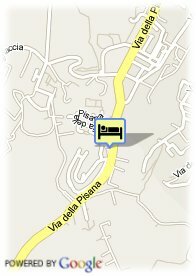 Hotel Pisana Palace is an elegant hotel which is very close to Rome center. The Pisana Palace Hotel is an elegant and modern establishment where the client will find all the necessary for a very comfortable time in Rome. 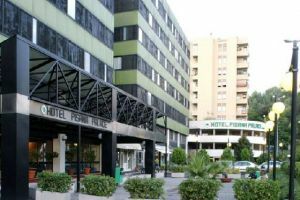 The hotel is located in West district of Rome, a quiet place but next to the city center. It disposes of 211 large rooms, elegantly decorated in order to offer to guest a place where its comfort and rest are assured. All of them are equipped with complete Bathroom, TV, mini bar and telephone, among other services. Among the facilities of the Pisana Palace Hotel stands out a restaurant specialized in the best dishes of the Italian cuisine. Furthermore, it also disposes of elegant social lounges, ideal to chat inside there and have a nice time, too. It is a perfect hotel to meet and enjoy the city of Rome in a quiet and pleasant place. Near trainstation, Museum Area, Near shopping centre.